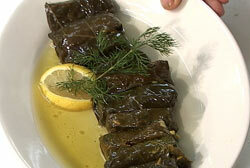 Dolmadakia: Rice and ground beef wrapped in grape leaf. Htipidi: Feta cheese, garlic, and red pepper dip. 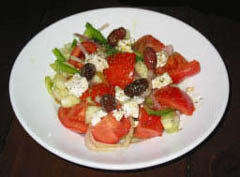 Tzatziki: Garlic, cucumber, yogurt dip. Spanakopita: Spinach and feta wrapped in filo pastry. Moussaka: Tray of layered eggplant, zucchini, potato, and ground beef topped with our béchamel cream sauce. 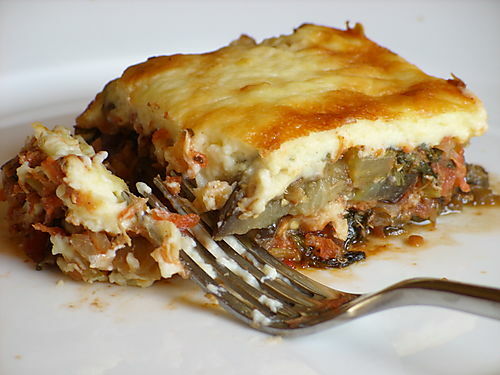 Vegetarian Moussaka: All the taste of our famous Moussaka minus the ground beef. Light honey custard topped with filo pastry. 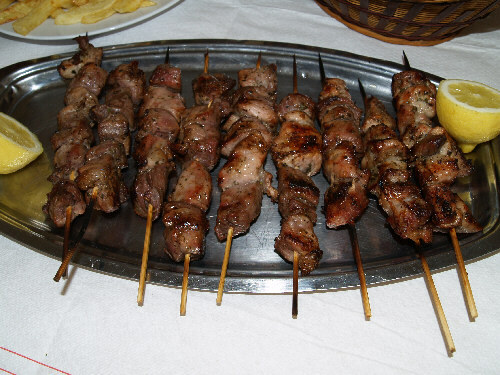 Dolmadakia: Rice & ground beef wrapped in a grape leaf. Humus: Chick pea dip with a hint of garlic & pita bread. Htipidi: Feta cheese, garlic & red pepper dip. Tzatziki: Garlic, cucumber & yogurt dip. Spanakopita: Spinach & feta wrapped in filo pastry. Fresh, homemade & prepared by Mama! 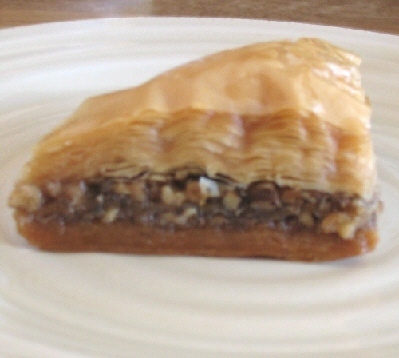 Baklava: The most popular Greek dessert. Layered filo pastry with walnuts & honey. Kataifi: Like baklava, but not as sweet. 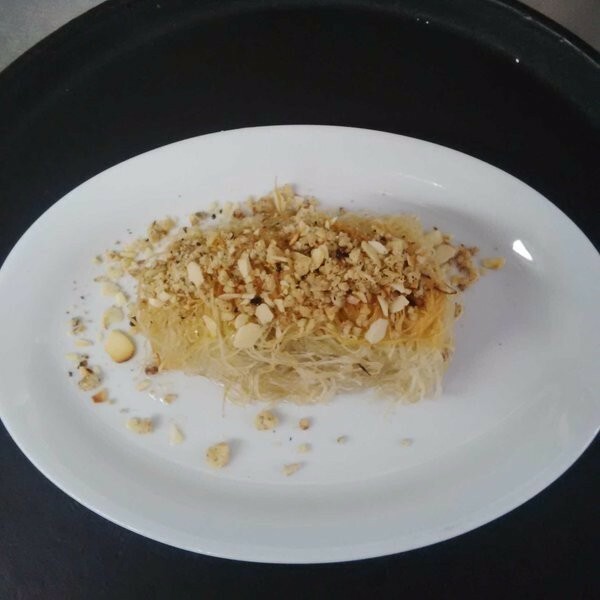 Shredded filo pastry wrapped with walnuts, pistachios & honey.